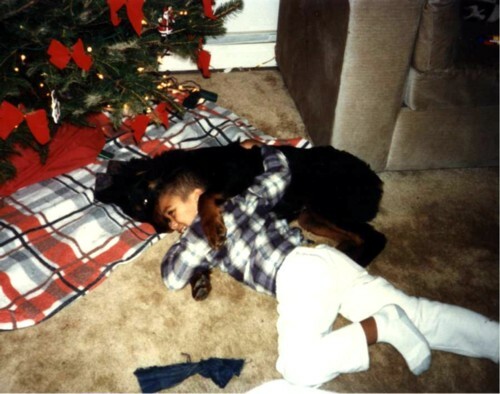 "What we have truly loved we can never really lose, as all that we have ever loved completely has become a part of us." 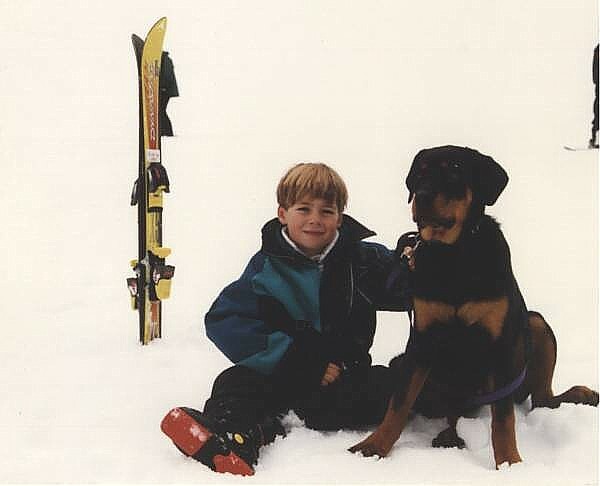 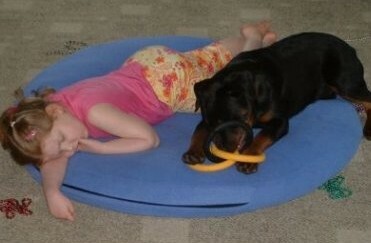 loved and deeply missed by our family. 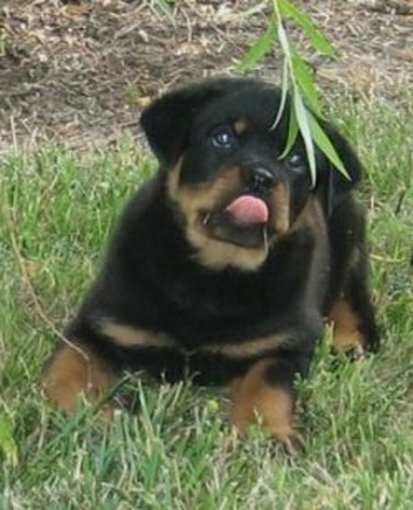 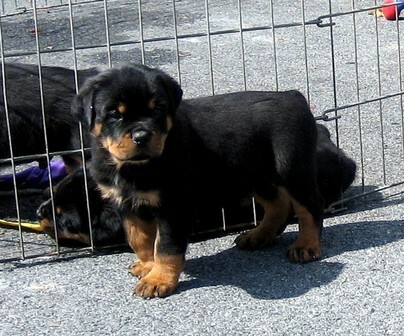 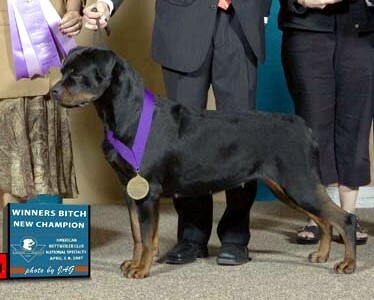 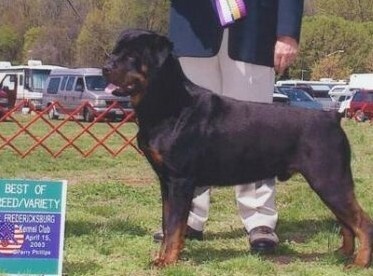 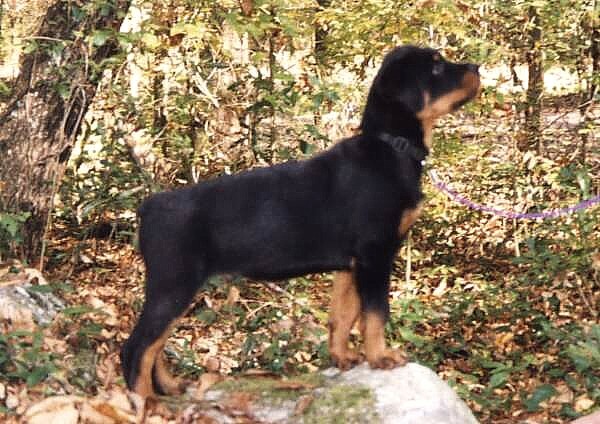 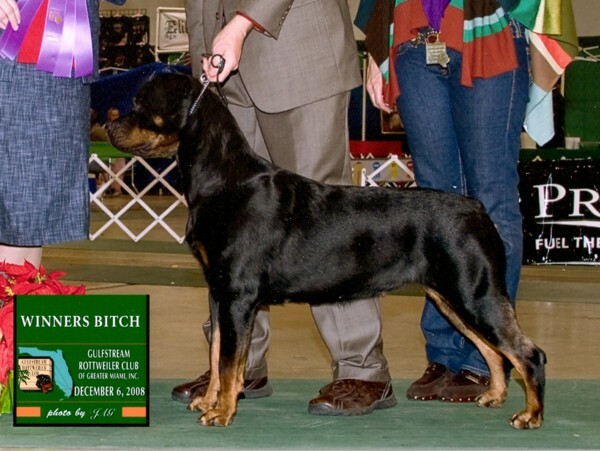 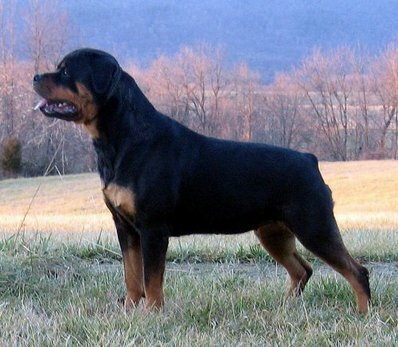 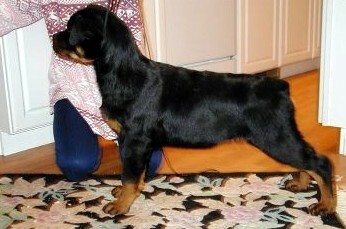 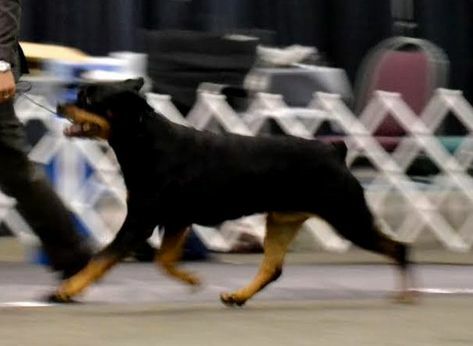 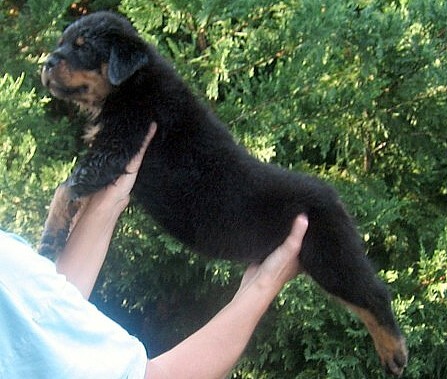 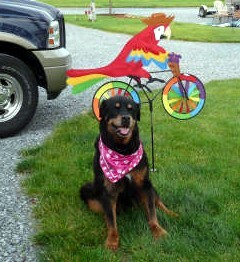 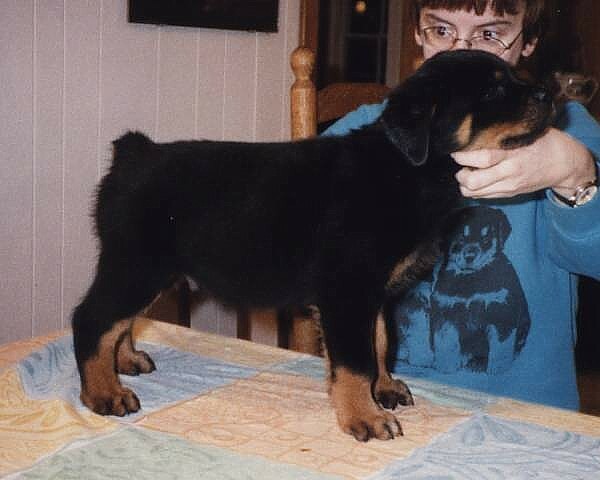 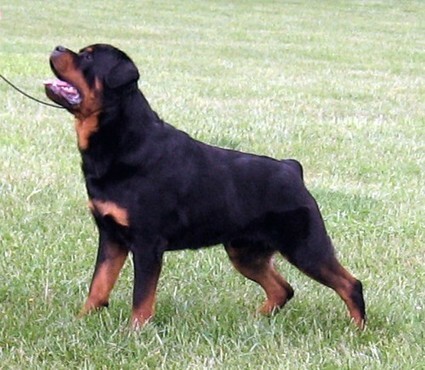 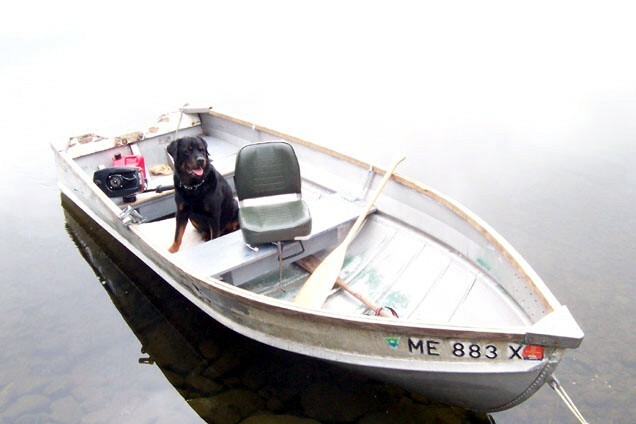 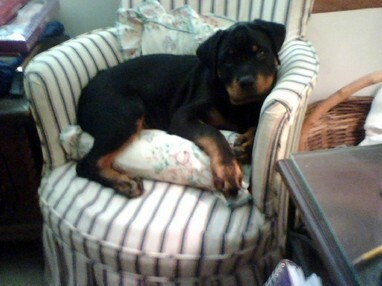 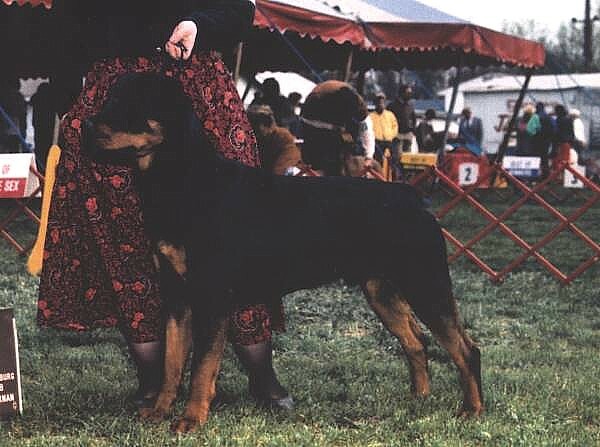 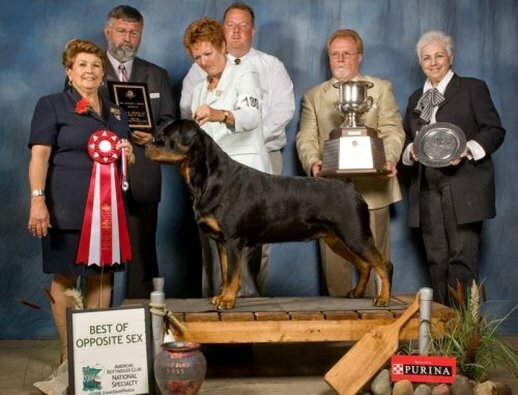 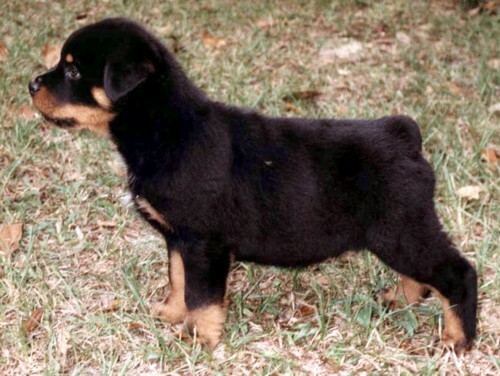 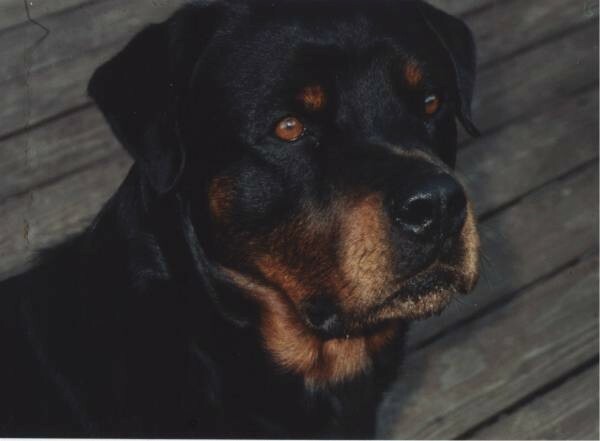 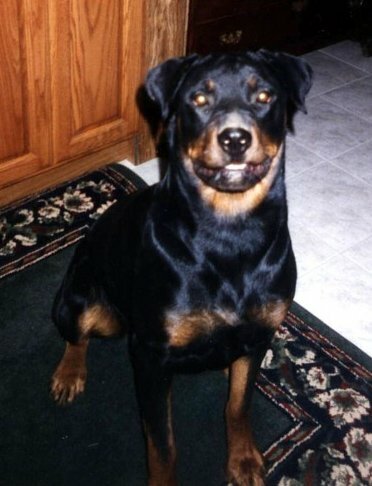 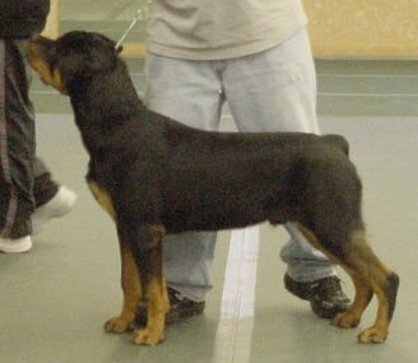 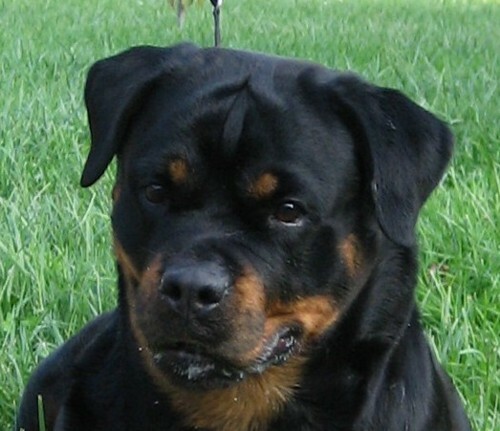 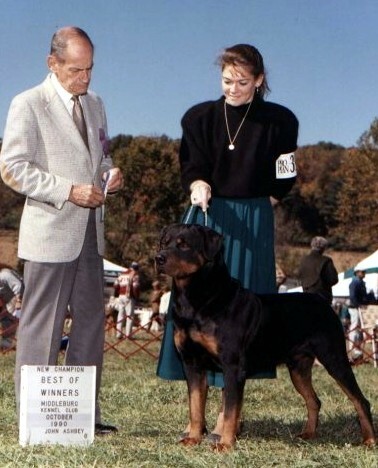 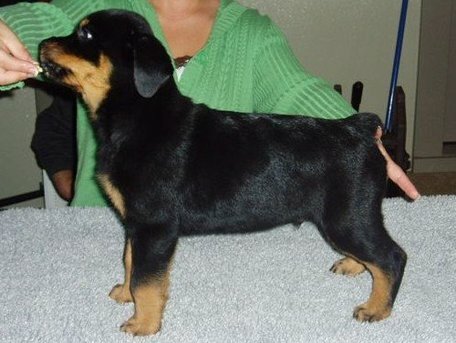 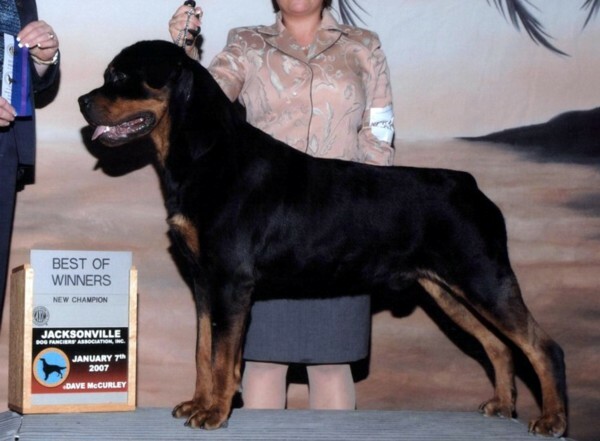 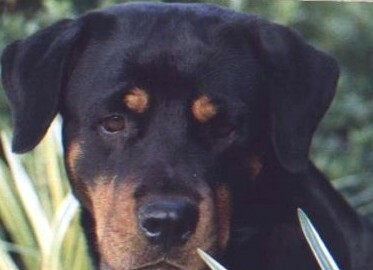 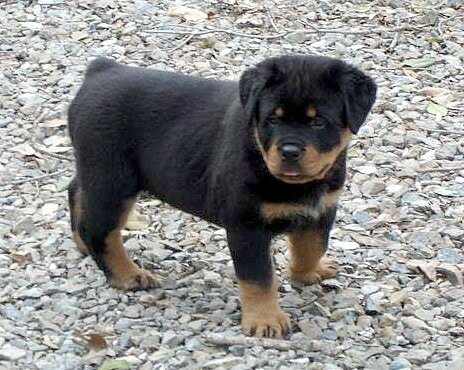 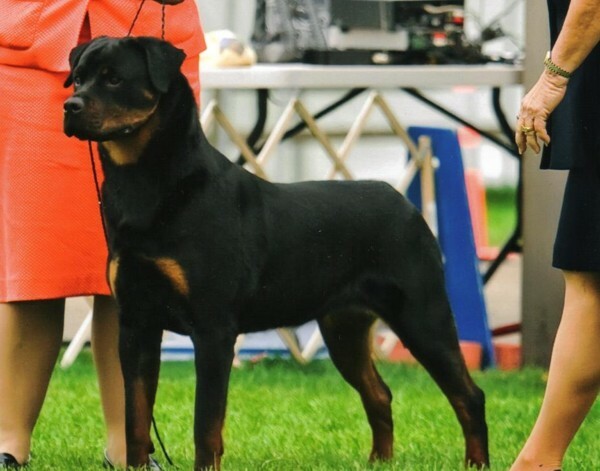 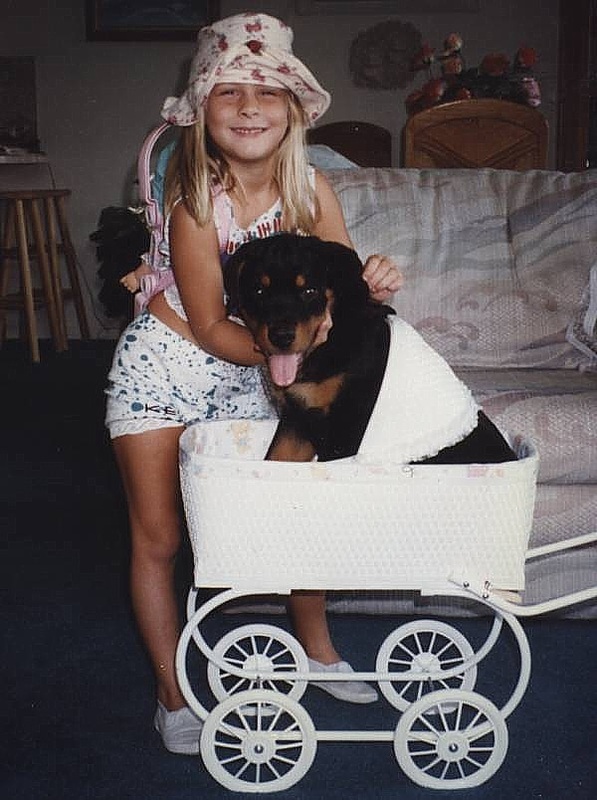 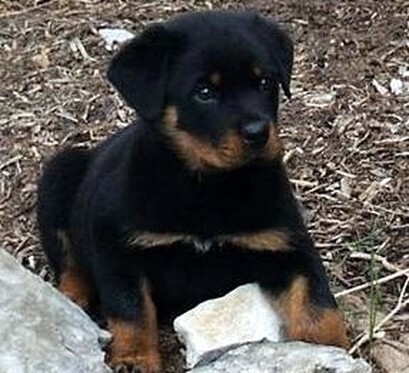 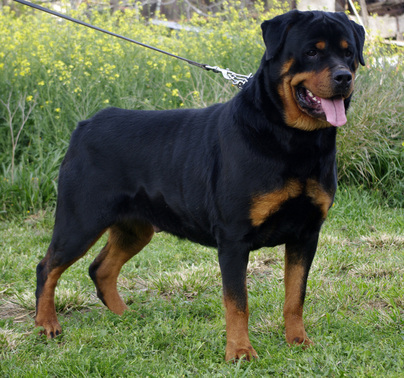 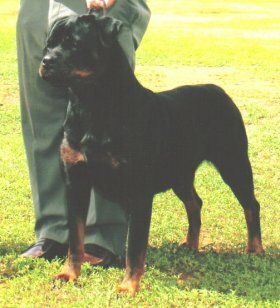 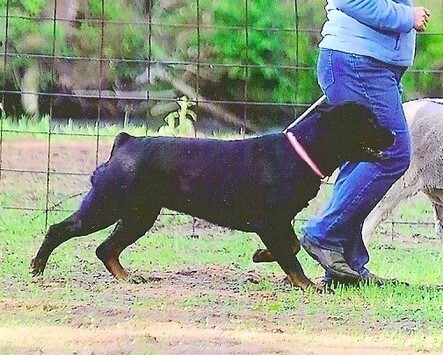 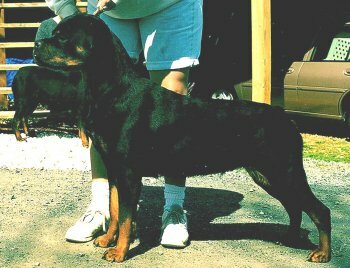 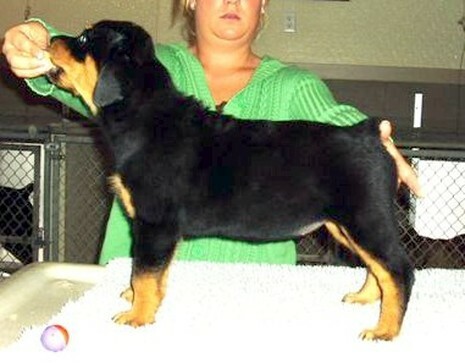 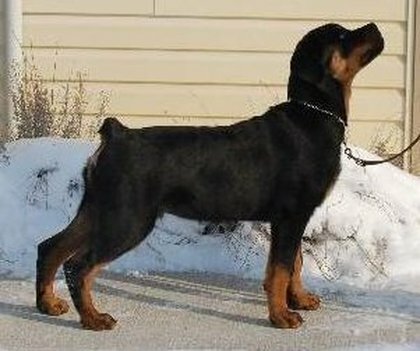 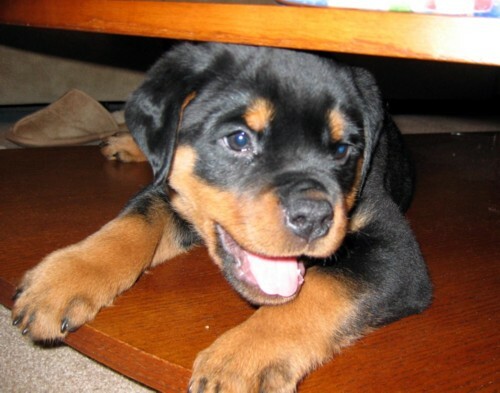 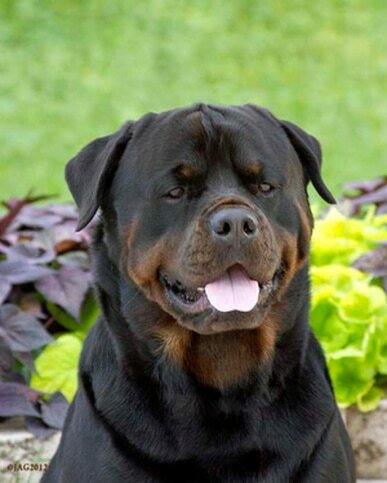 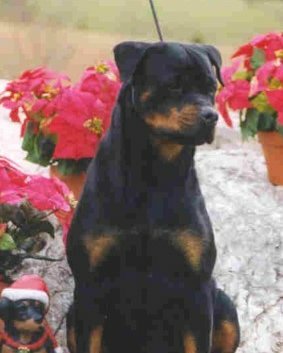 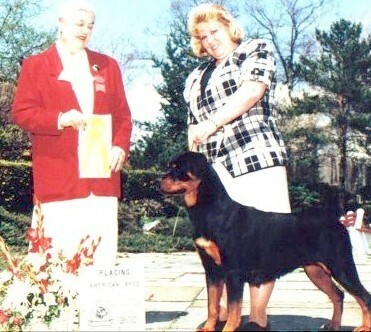 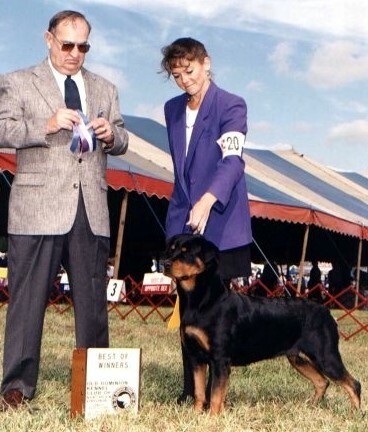 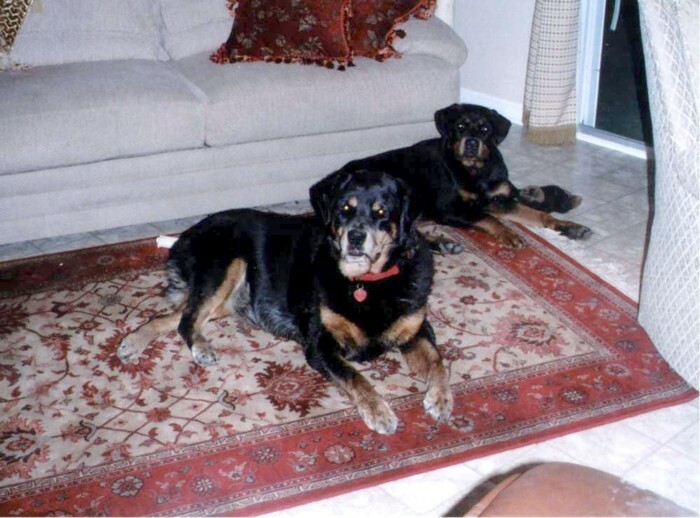 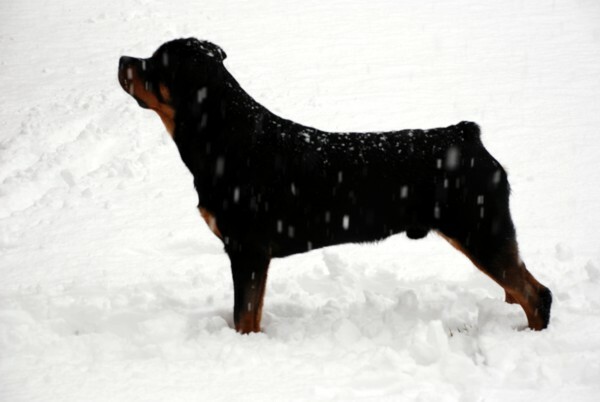 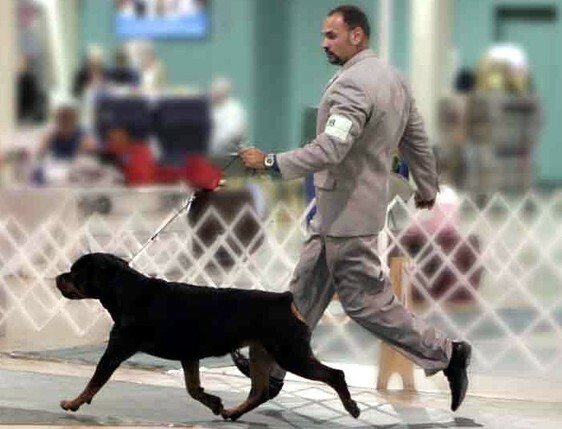 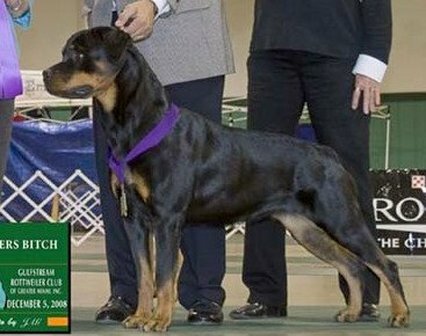 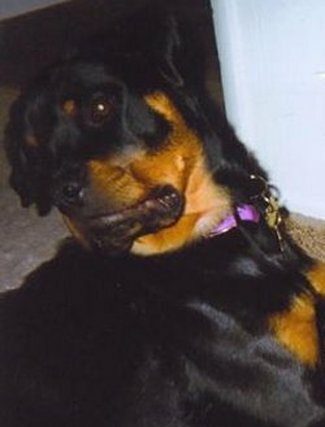 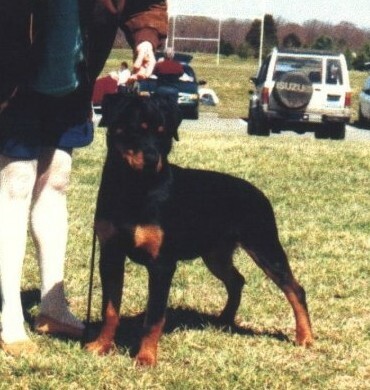 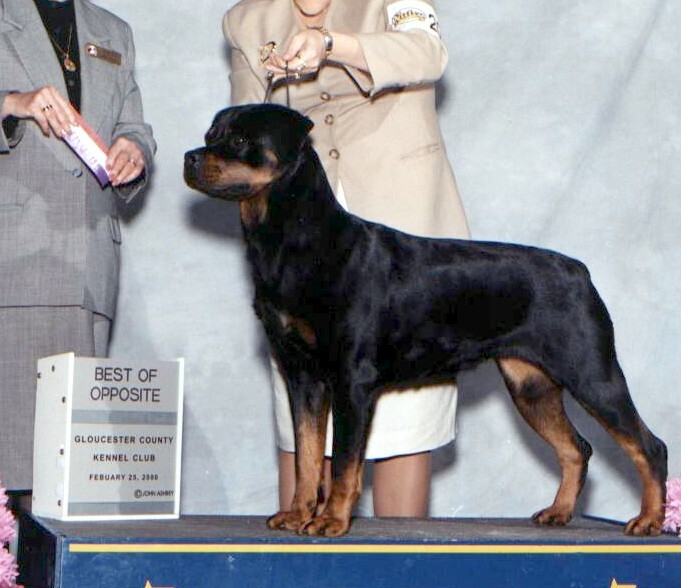 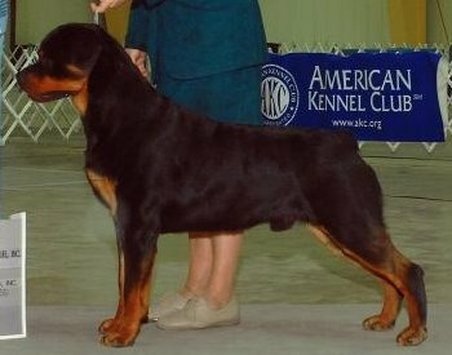 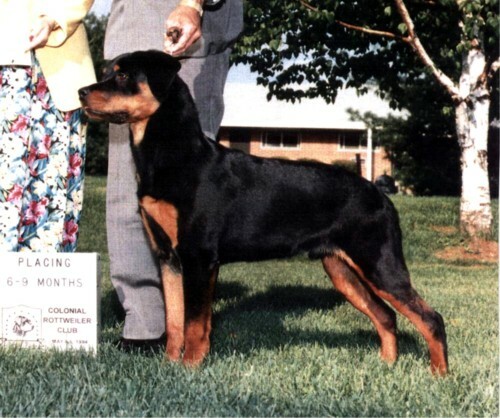 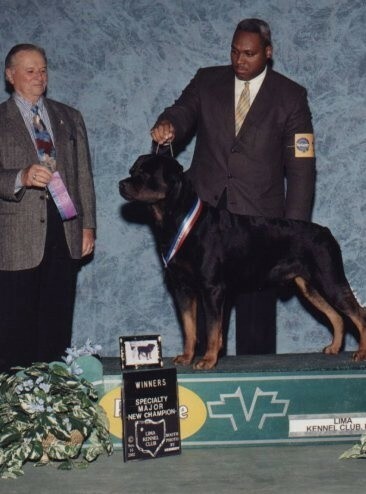 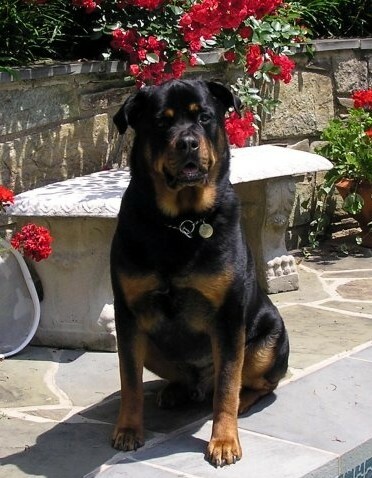 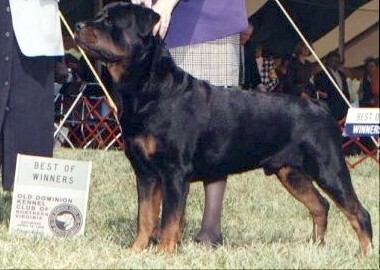 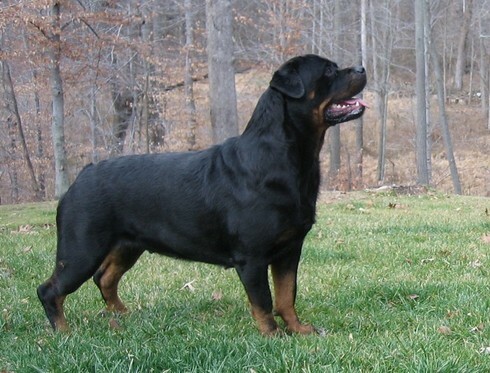 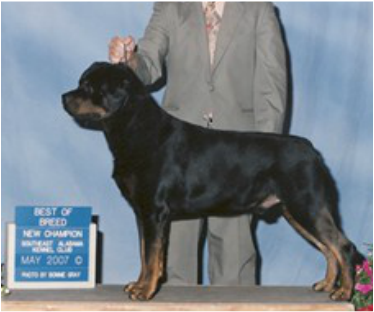 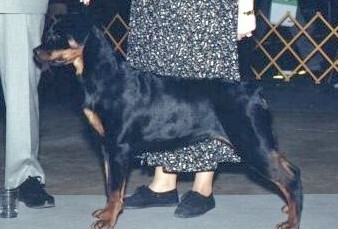 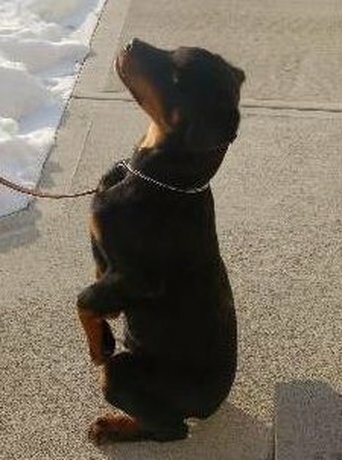 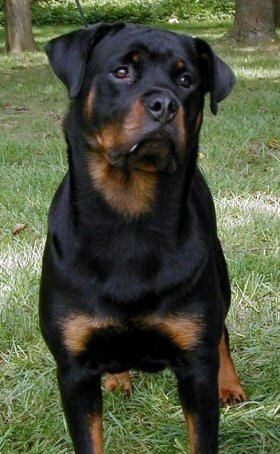 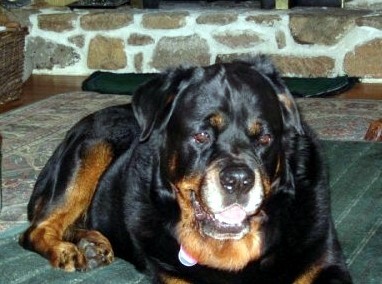 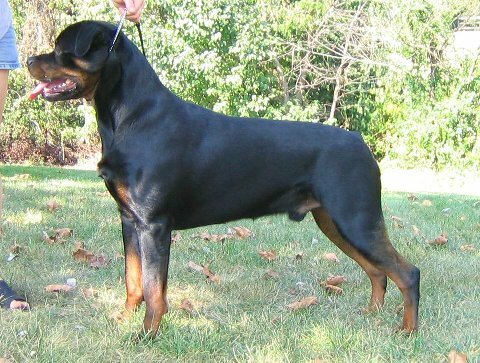 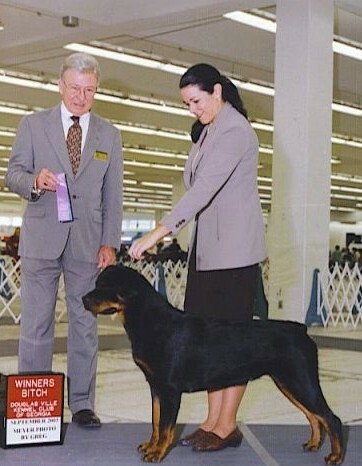 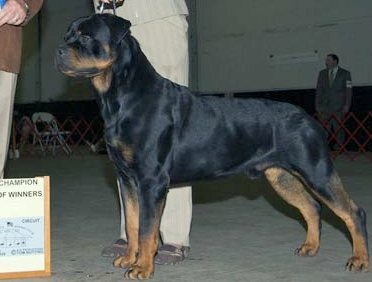 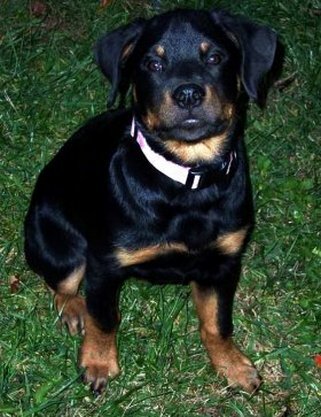 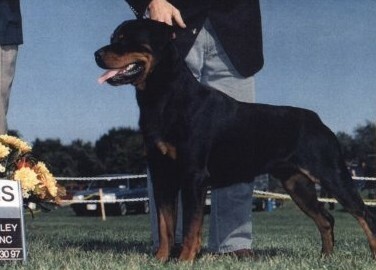 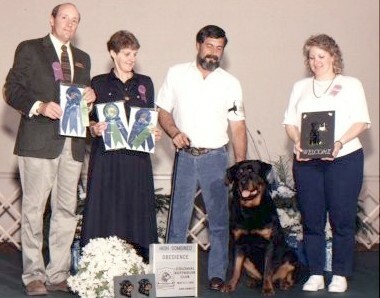 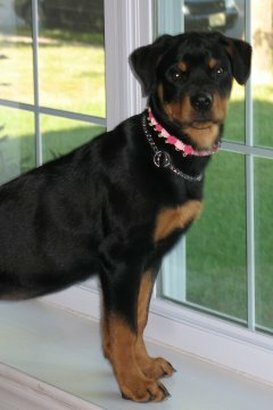 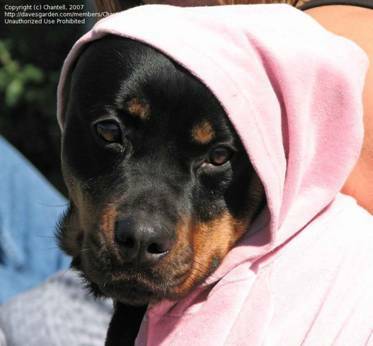 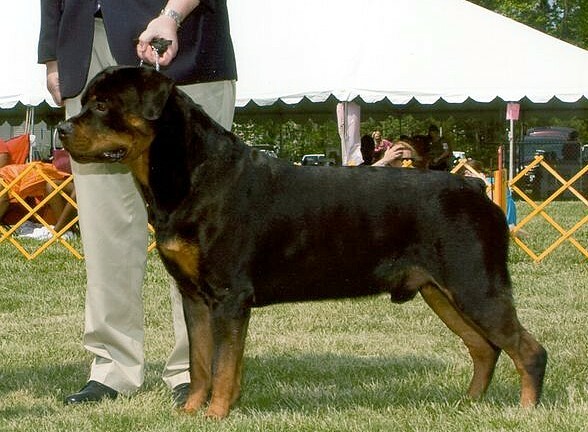 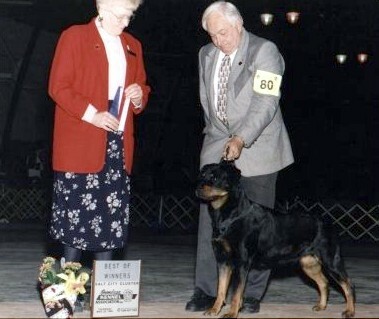 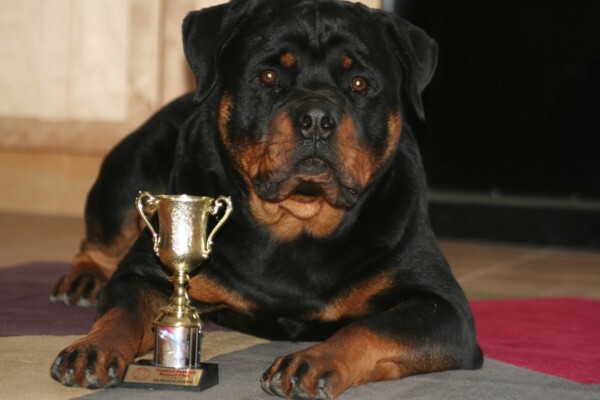 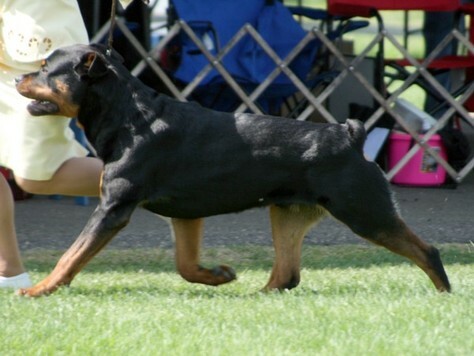 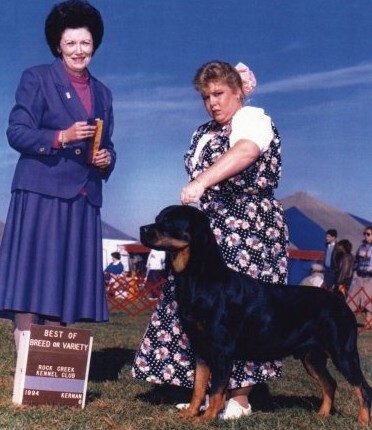 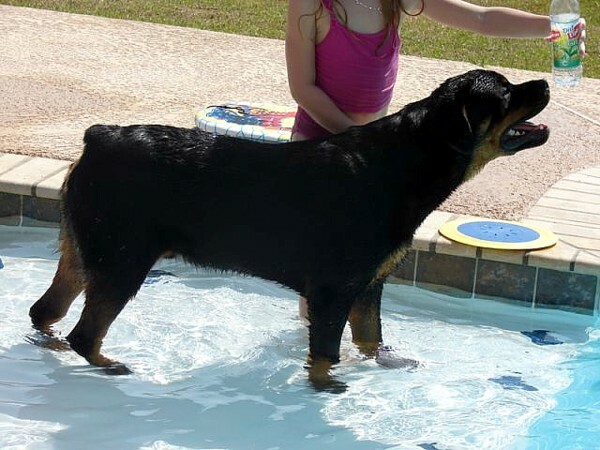 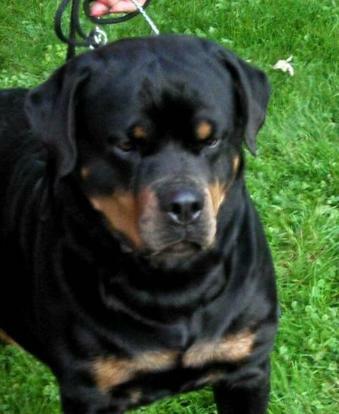 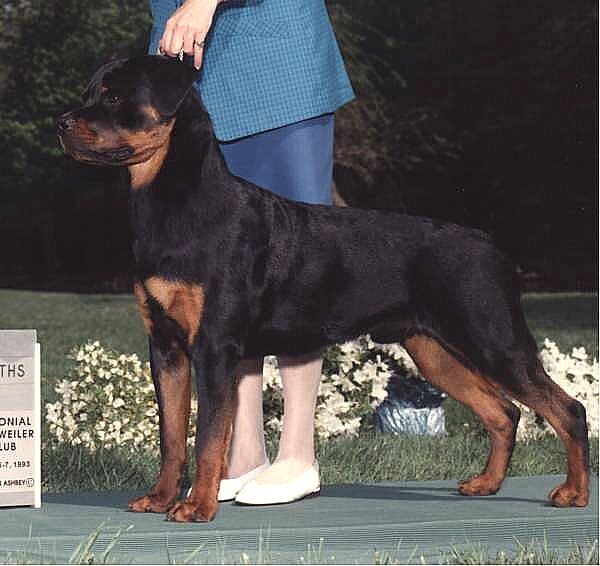 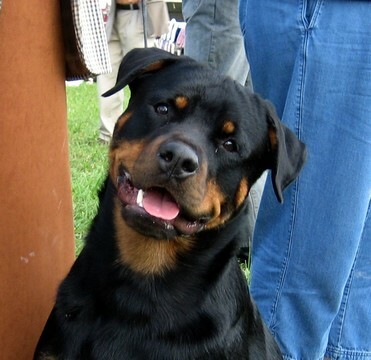 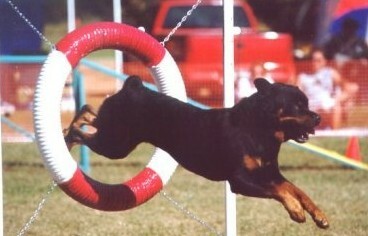 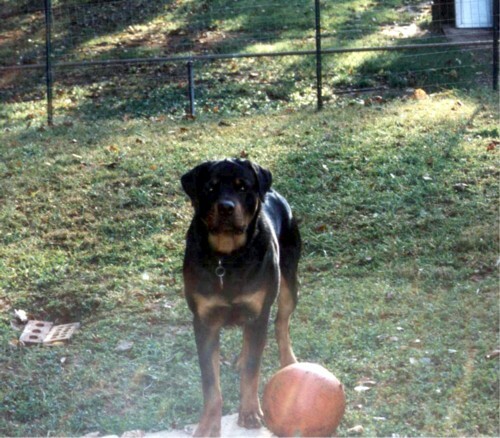 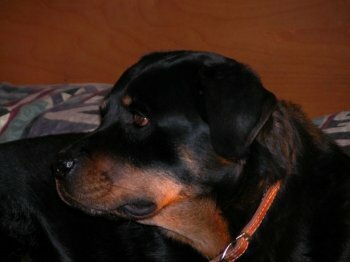 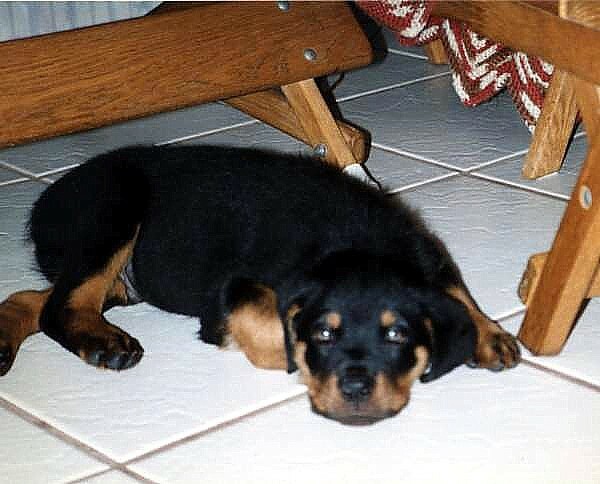 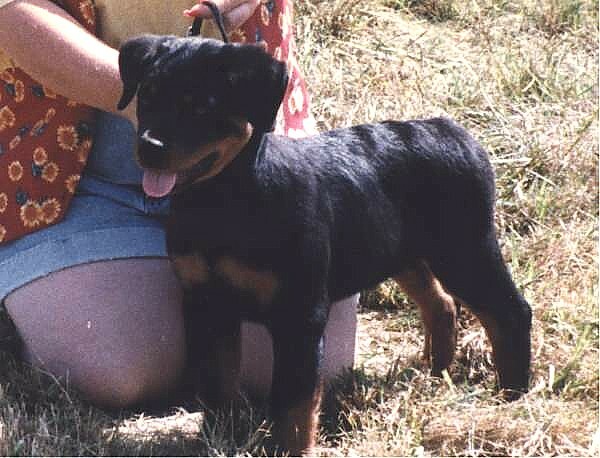 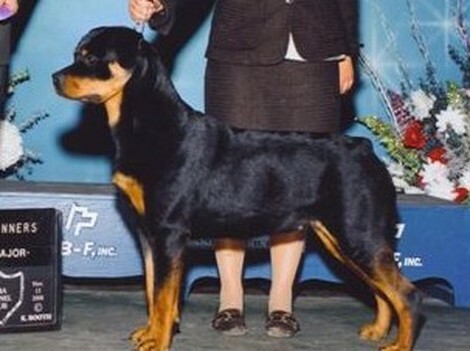 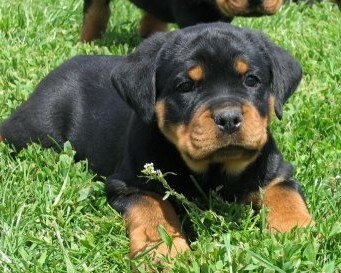 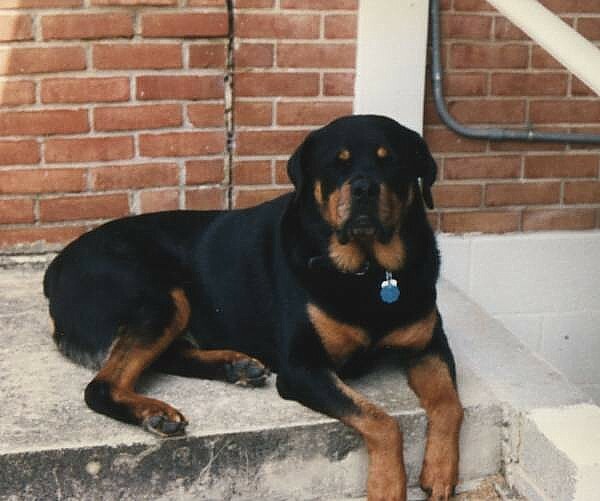 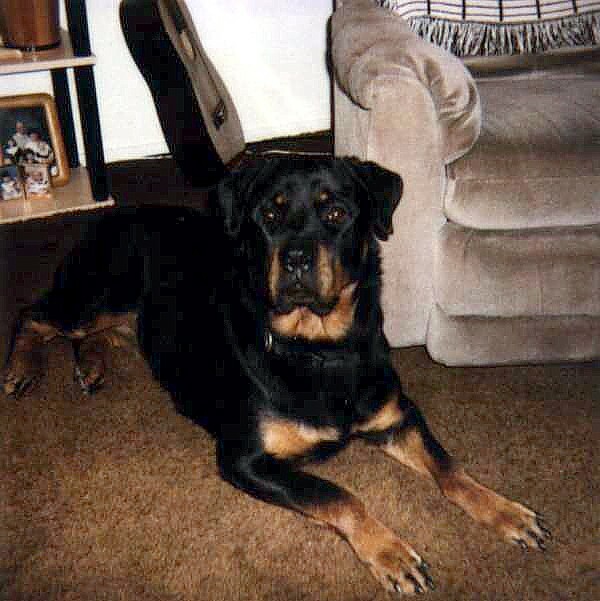 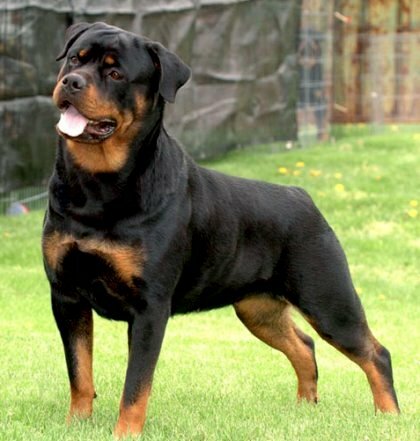 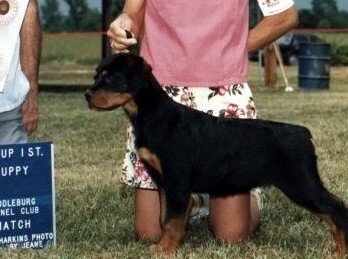 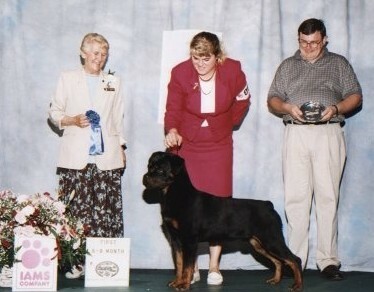 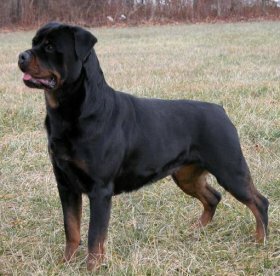 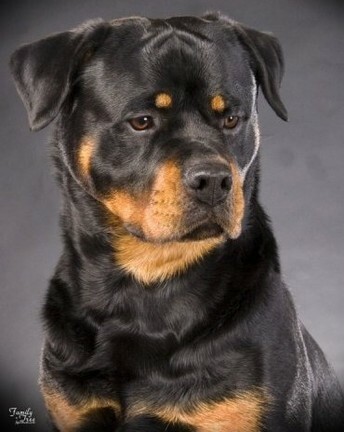 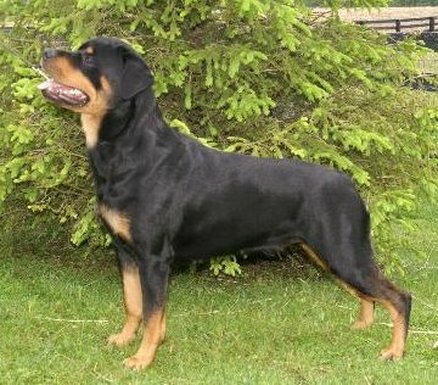 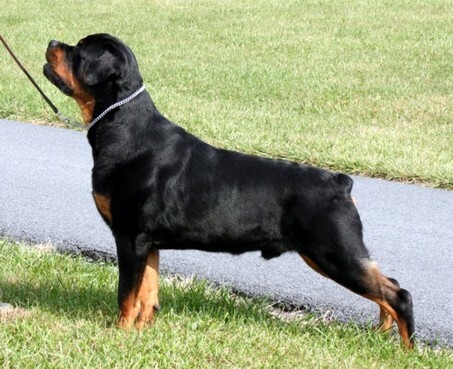 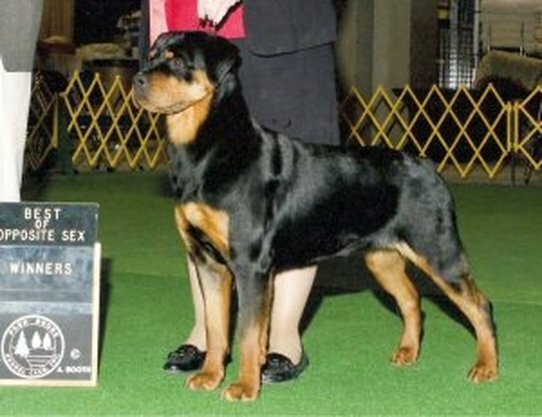 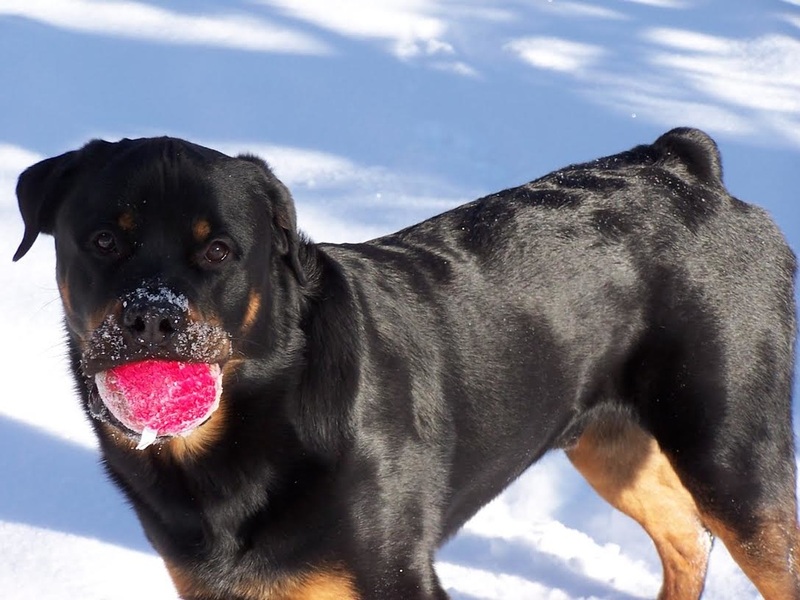 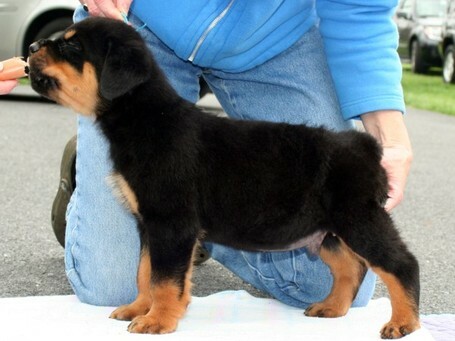 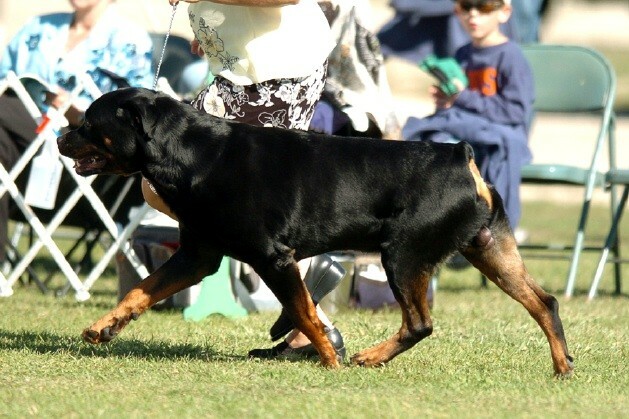 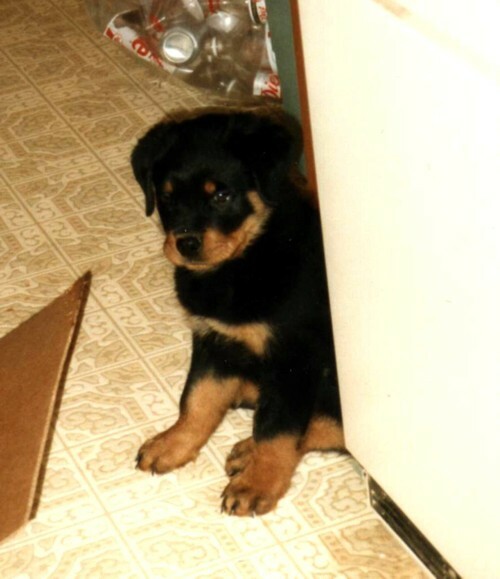 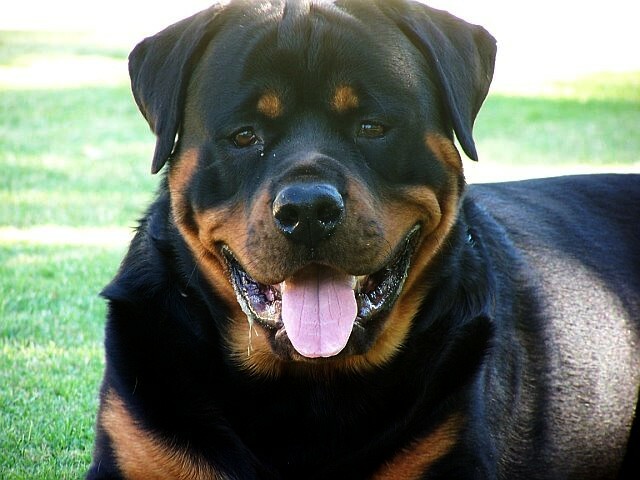 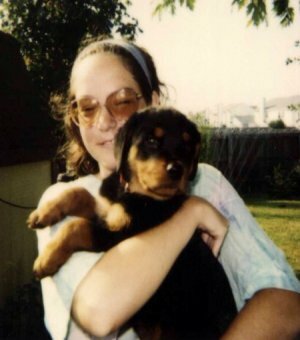 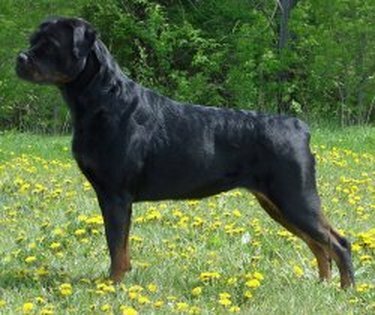 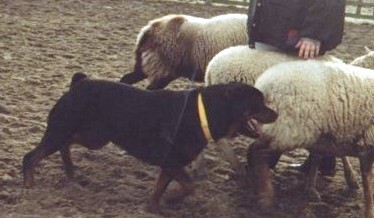 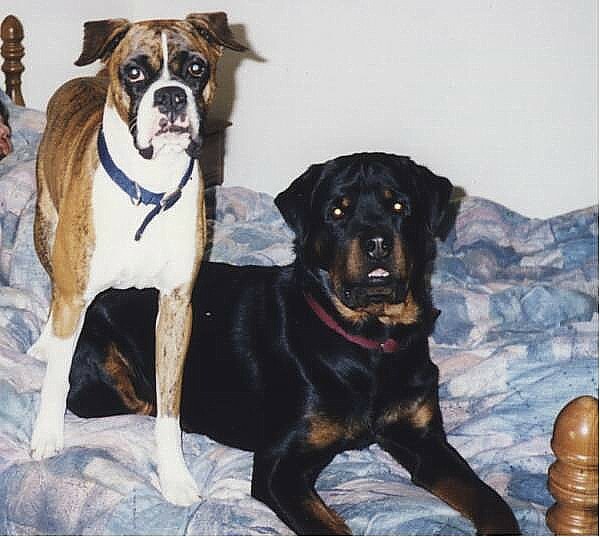 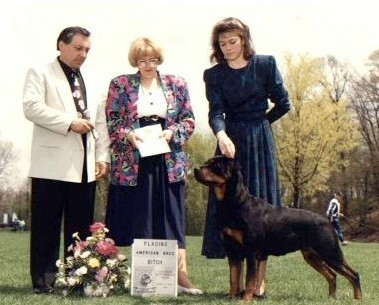 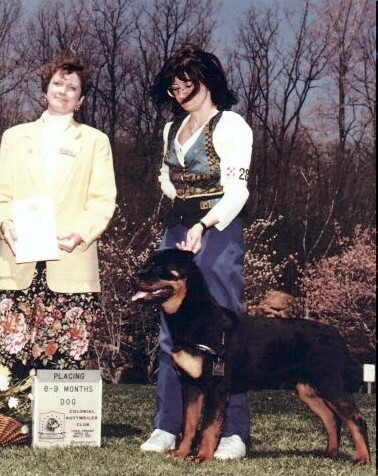 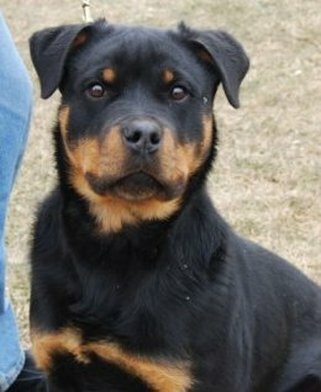 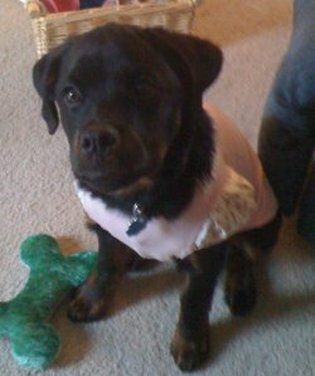 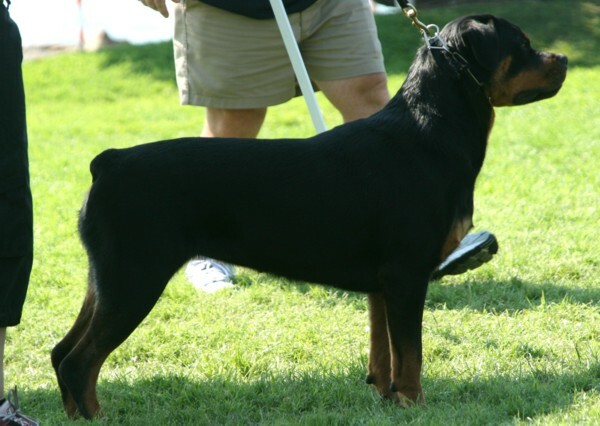 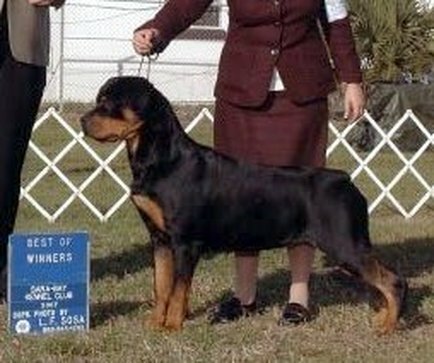 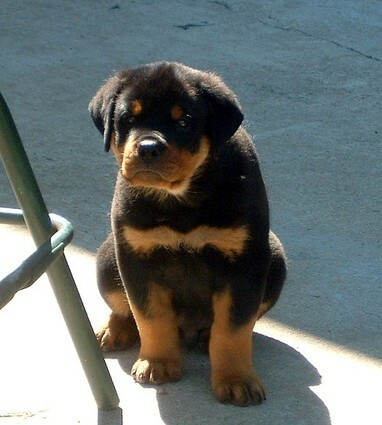 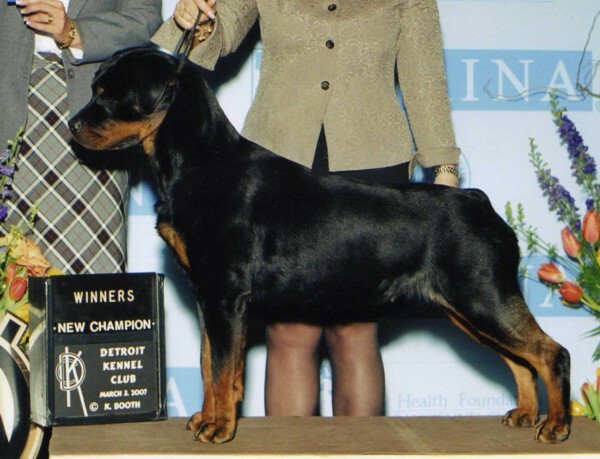 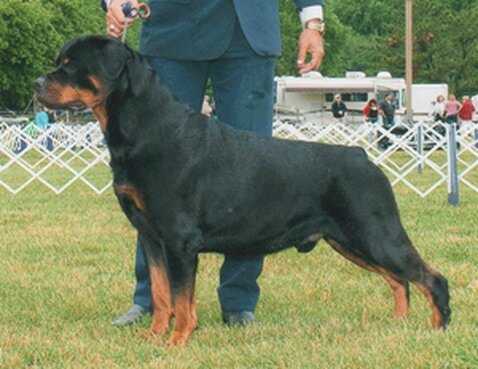 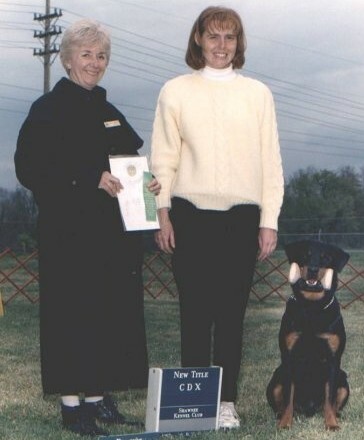 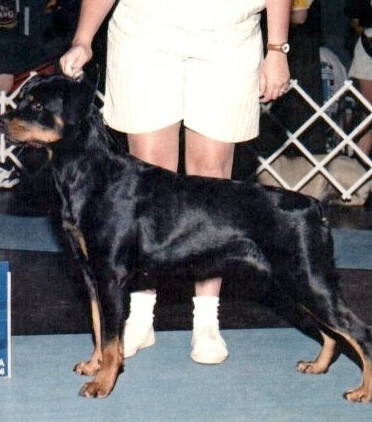 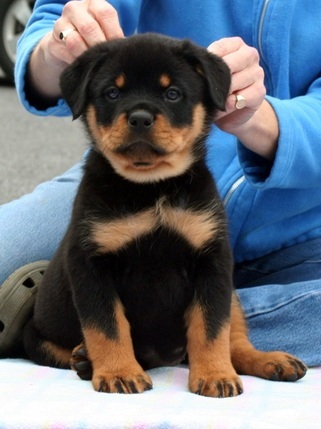 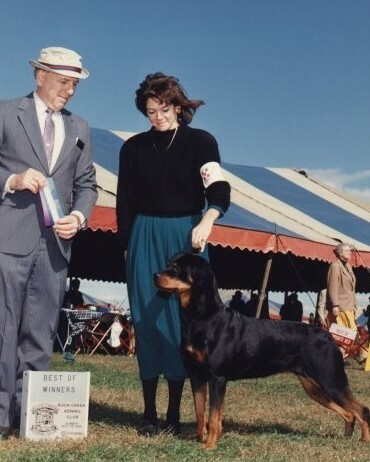 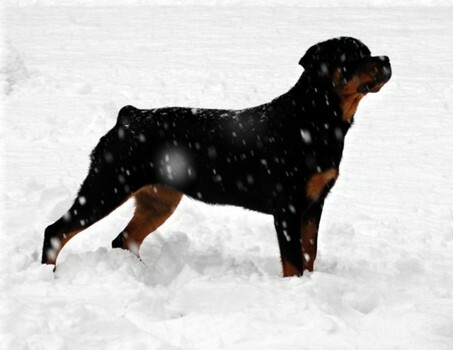 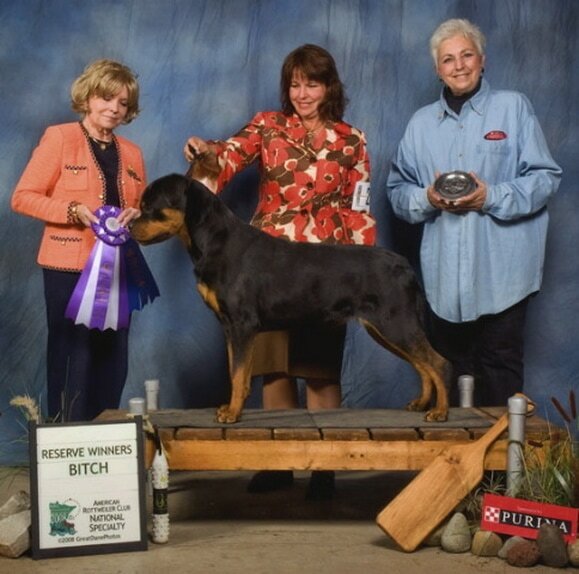 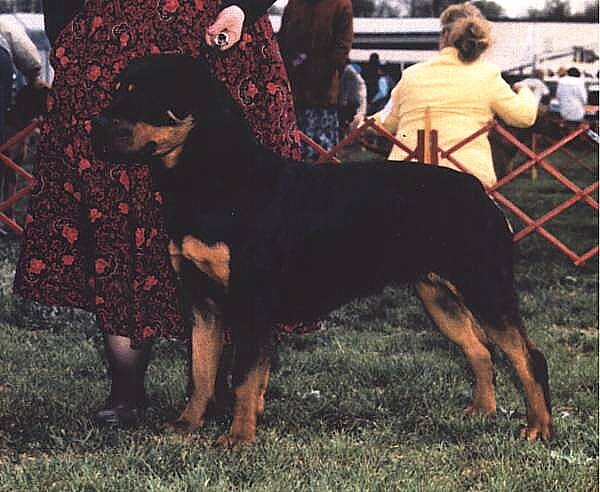 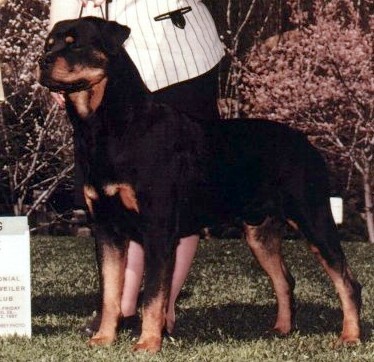 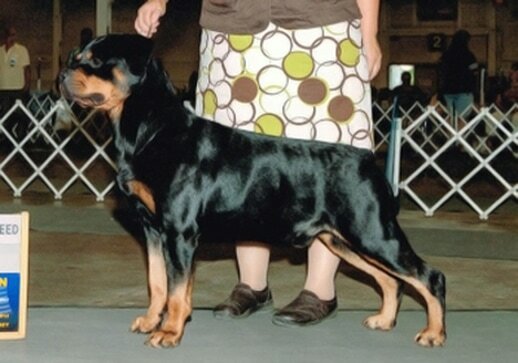 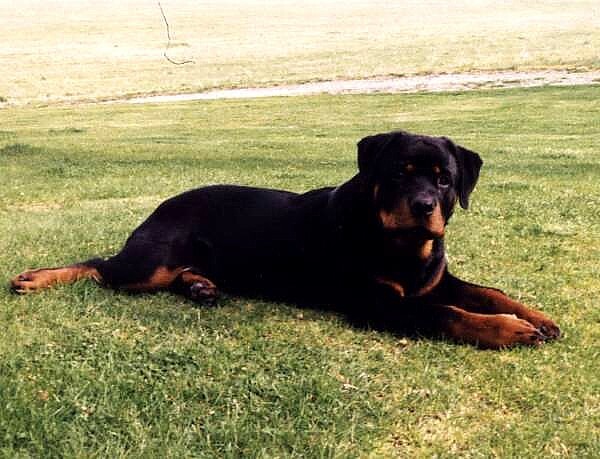 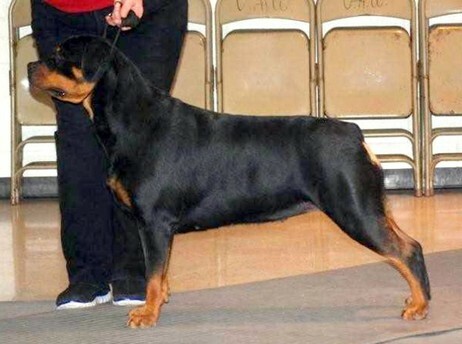 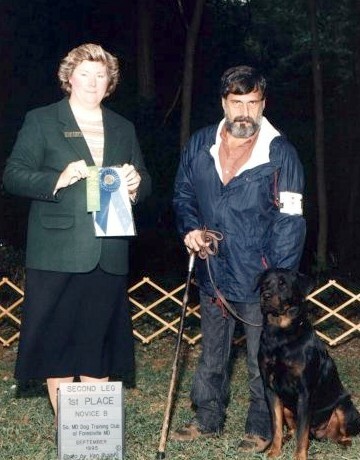 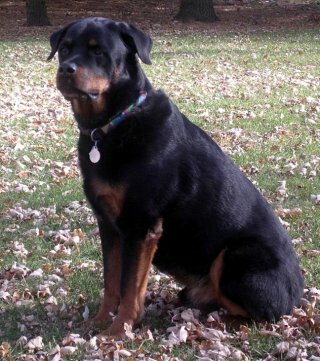 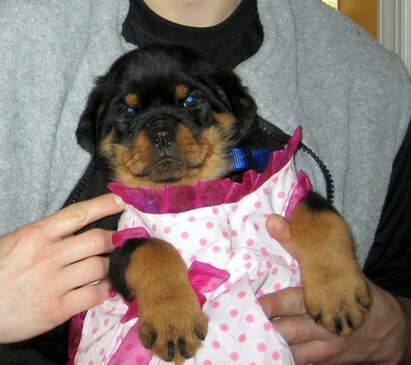 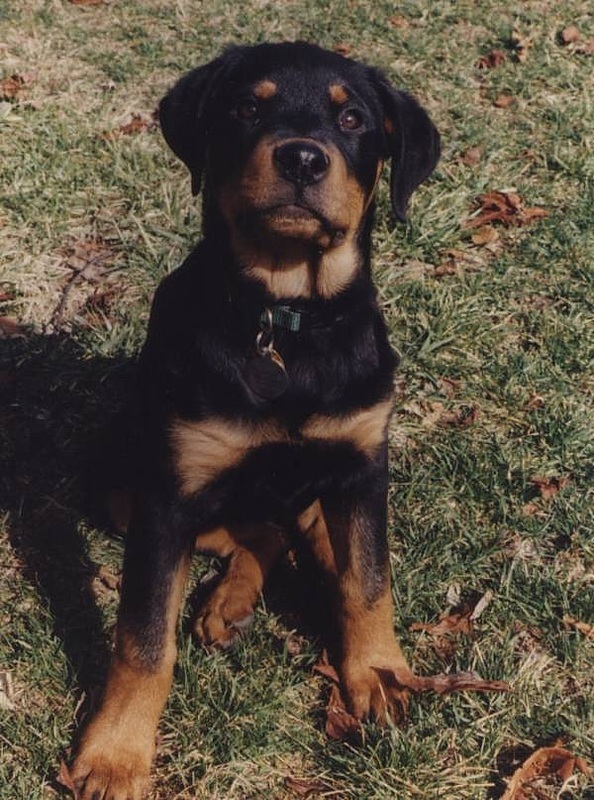 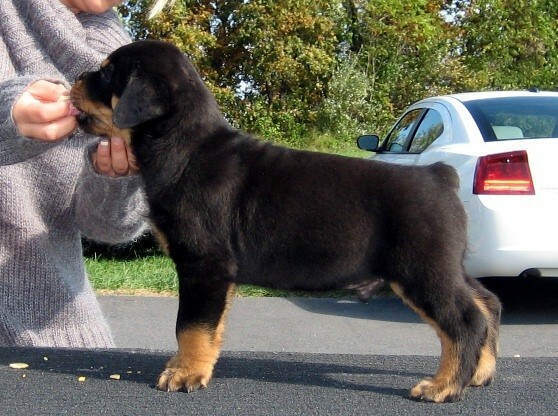 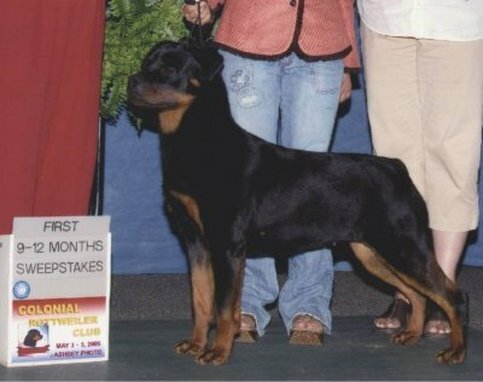 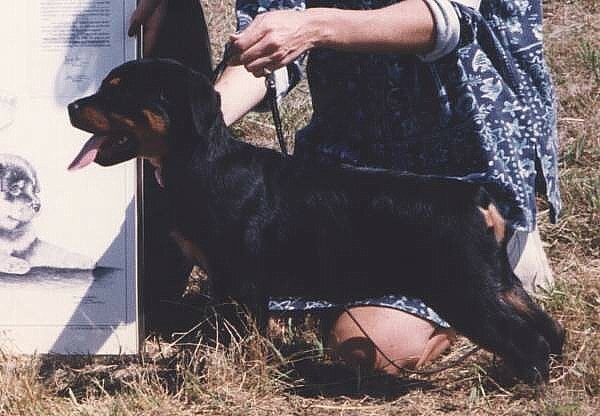 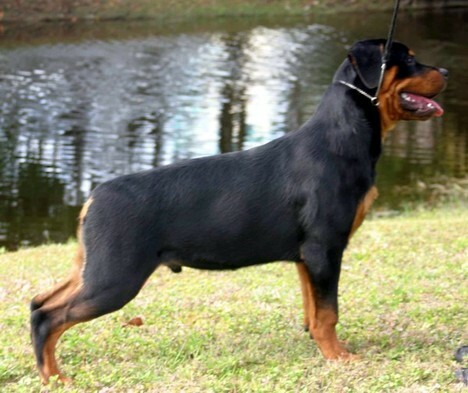 2006 Gulfstream Rottweiler Specialty Show RESERVE Winners Dog at 6 mos.